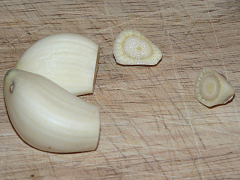 In case you didn’t already know, the smaller you chop garlic the stronger the taste will be. When you cut or smash the cell walls, you’re releasing the oils that carry the flavor. If you want to go a little milder than you get with smashed or pressed garlic, or if you just hate cleaning the garlic press, you’ll need to learn how to mince. 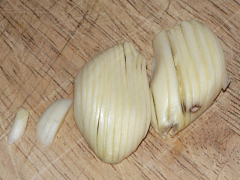 As a bonus, this is also a good technique for using cloves that are actually a little past their prime. 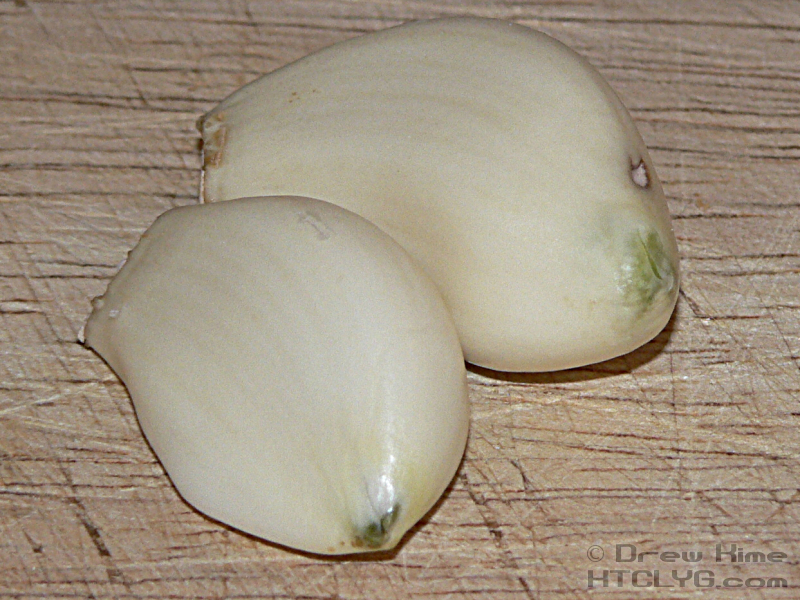 It’s better, of course, to get something perfectly fresh, but if you’ve already started on dinner when you discover your garlic has started to sprout, this can be a real time saver. 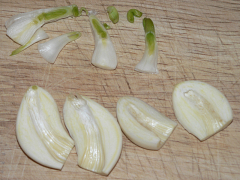 Note in the two cloves below that they’re starting to put out green shoots. These shoots can be very bitter if you include them. 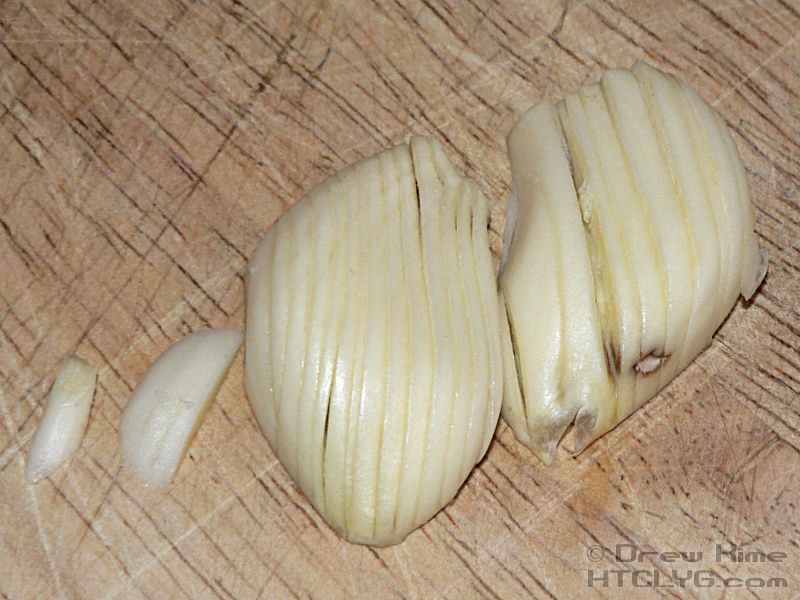 They also don’t smash the same way the rest of the clove does, and they’ll get stuck in a press. 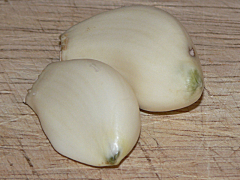 Luckily, if you remember that garlic is a plant bulb, you’ll see how to fix it. 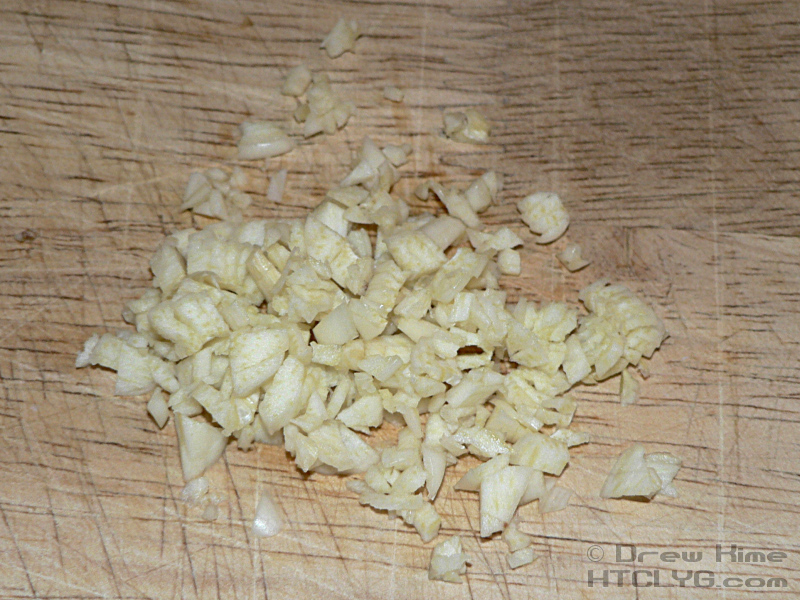 Start by cutting off the base of the clove. You have to do this even if they haven’t sprouted. Next cut the cloves in half lengthwise. 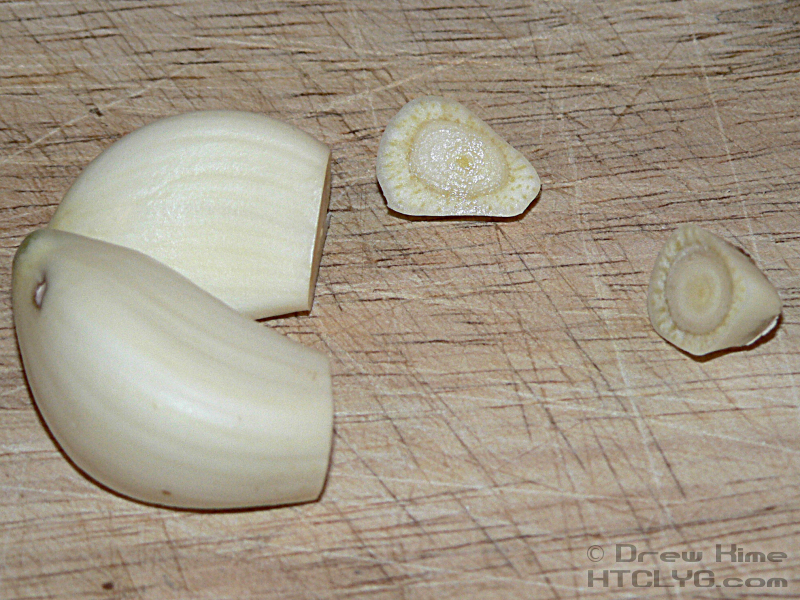 This is what you couldn’t see before slicing, and it’s what would jam up a garlic press. Pry out the center part with the back of your thumbnail or the tip of a paring knife. Don’t worry at first about trying to go fast like you see the chefs do on TV. Just do nice thin slices along the long side. 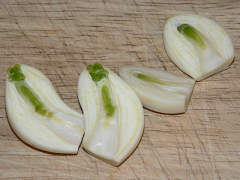 Once they’re sliced, turn them sideways and go across the other direction. 1. 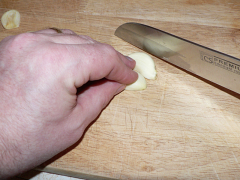 A note on cutting boards. Plastic and glass cutting boards look nice and clean up easy, but they’re really hard on the edge of your knife. Use wood if you have a choice. 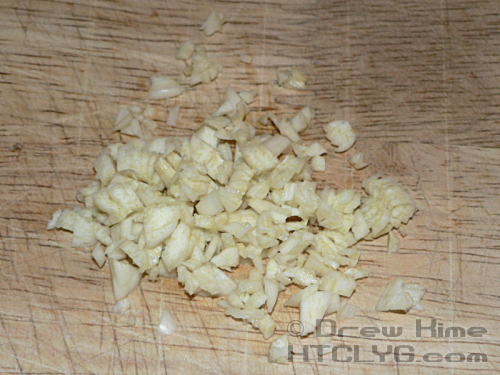 You don’t want to mince garlic with a dull knife.